the stickies have become a mess and a lot of them are not important and out of date now. Especially in the announcement area. Good idea, Kelly. I un-stickied and un-announced a lot of old topics in Forum/Website Announcements (some from November), keeping certain topics such as OpAphid Resolution stickied in case a newbie might wander in bewildered at the disappearance of the once official LG15 ARG. its gonna be ok for a min, but as soon as the postwhores get up in the morning, its over. oh wait, you were talking about the stickies, oops i thought i was still in the keep p moneys playhouse thread. whatever, both of em are clogging up the good 'ol forums i used to love. i say get rid of em all. dont leave the place where its possible for people to get 20k posts without actually saying anything (1 word post or emote, WTF???). thats hurting the site, imo. when i click show posts since last visit, those always make it to the top, even when theres puzzles and new vids and all that going on, its always there! im not saying anything bad about the people doing it, just that they HAVE the opportunity to do it. wasnt this a game first? im starting to think its a popularity contest. It's not about popularity, it's just off topic fun chatter that's all. If there wasn't places for it, you would still find it in the middle of video threads or puzzle threads or what have you. People LIKE to relax and play games and get to know each other. There aren't many forums out there that don't have off topic/fun boards just for forum games or random talkings. I think it would hurt a forum like this a lot more NOT to have that stuff. As for the topic on hand, some announcement/sticky clean up is a great idea, and thanks FP for getting some of it done!. Good idea, I've unstickied a couple of threads myself and am now staring all crazy-eyed at the OpAphid archive. I've been wanting to say that for some time now, never really took the time to do it. Nice job on raising the issue/cleaning up. 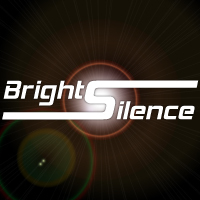 Well said Brightsilence. I wish i could be as polite as you sometimes. I agree with what you had to say about the fun forums, it just took me awhile to be able to ignore them. Now I'm ok with them being there, I still wish there was a way to filter those when I click view posts since last visit, to bring up any new posts. The only thing I complain about now is having to sort through them all to find 1 or 2 threads that aren't off the cuff or p monkeys playhouse. all the opaphid stickies could be combined in at least ten. I cleaned up OpAphid a bit. I removed most of the stickies that belonged to videos (I didn't combine them in fear of serious confusion) and posted a little note to any wandering lurkers unfamiliar with the ARG. I hope it's better - at least I think it is. Tell me if you'd like to suggest something new. yes, it's called don't click on those sections? why is it not as easy as that? maybe i am misunderstanding. hope that didn't sound rude..
it didn't sound rude, but perhaps i need to clarify. I don't click on those sections!!!... what i mean is I'm tired of having to sift through those to find the one or 2 threads that have the IG (in game) info that I am looking for. Wait a minute, that's exactly what I said earlier, perhaps you should read my post again and not just what you took out of it. You beat me to it! Good work, it looks a lot neater now without all those stickies stuck everywhere. I'm confused...as usual. When I come on the site, all the active areas since my last visit have the nifty little orange flags. I don't even hit the "view posts since last visit" button. Same for me. Everything organizes itself automatically. If there's a whole section you don't want to read, just click on "Mark all posts read" in the section. A) The Current OpAphid Status and official explication.